That means you can not only watch your cat or dog companions, but you can also play with them, make sounds to get their attention, and hear their responses using the Pet Cube’s two-way audio stream speaker and microphone. The laser pointer toy uses a safe built-in 5mW 3R class laser. To get started with Pet Cube, order one from this link. When it arrives, unpackage the cube and plug it in using the included power adapter. You’ll want to position the Pet Cube in a room with a strong Wi-Fi signal where your pets like to hang out, to make sure they’ll spend time in the camera’s field of view. 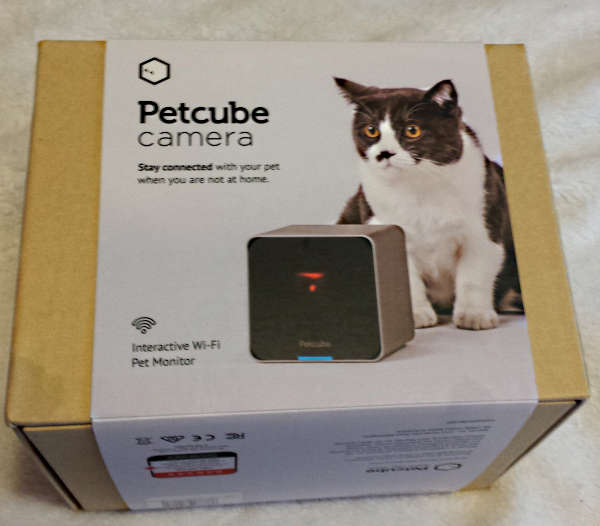 Pet Cube uses a 138 degree wide angle camera with streaming HD 720p video, so you’ll get exceptional footage of your furry family member. Once you power up the Pet Cube, download and run the app for iOS or Android. After you launch the app for the first time, you’ll need to create a Pet Cube account. Once you set up the account, the app will walk you through the process of connecting your Pet Cube to your home Wi-Fi network. Though the app’s Android download page said it was designed for mobile phones, it installed without any problems on my tablet and seems to run just fine. The Pet Cube camera is small and easy to blend into the surroundings of your home. Who Needs a Pet Cube? 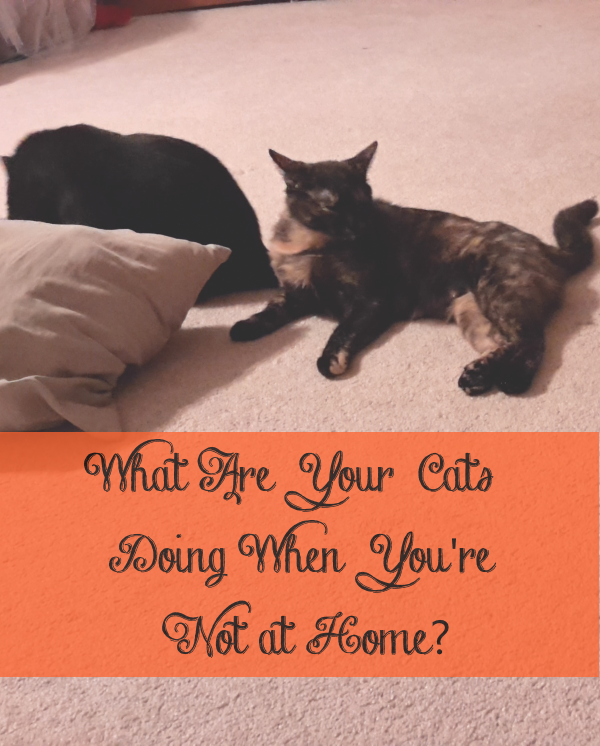 Having a Pet Cube doesn’t mean you need to use it for monitoring your pet at all times when you’re not home. Here are some situations when you’ll especially love having a Pet Cube in your house. Your pet has separation anxiety issues. Separation anxiety is not uncommon in dogs, and cats can suffer anxiety issues, too. 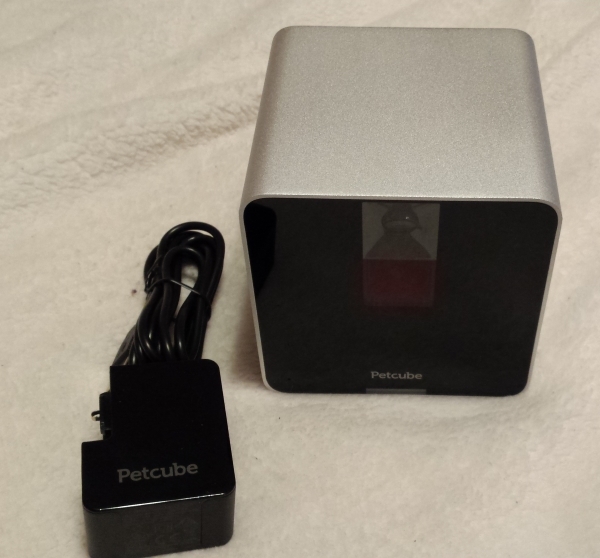 Pet Cube lets you interact with your cat or dog with sound and the laser pointer. Plus, you can have peace of mind knowing that you’re keeping an eye on your beloved pet. You sometimes need to leave your cat home alone. Experts recommend that you don’t leave cats alone for longer than overnight without someone checking on them. You can feel even more secure on an overnight trip if you place Pet Cube so it offers a clear view of your kitty’s food and water. This way, you’ll likely see your kitty frequently, plus you can tell if her food or water gets spilled. You could use a lunchtime pick-me-up at the office. Seeing one of my cats always puts a smile on my face. Playing with them in the middle of the day is even better. It’s guaranteed to light up your day, and your pet’s, too! Your indoor pet needs some exercise. Laser pointers provide great ways for pets to get the exercise they need, especially if they never venture outside. Your cat or dog is a superstar in the making. 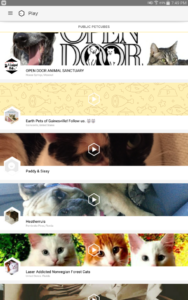 Pet Cube lets you make your camera public so others can watch your pet. 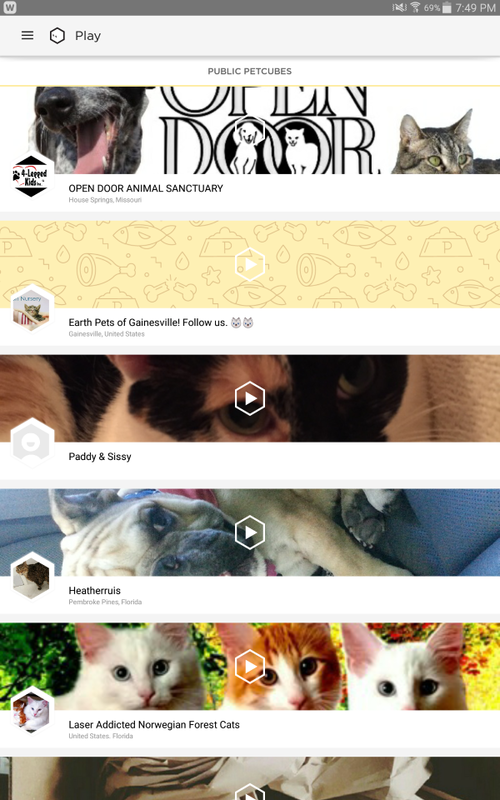 You can watch cute kitties and doggies from other users’ public cameras as well. 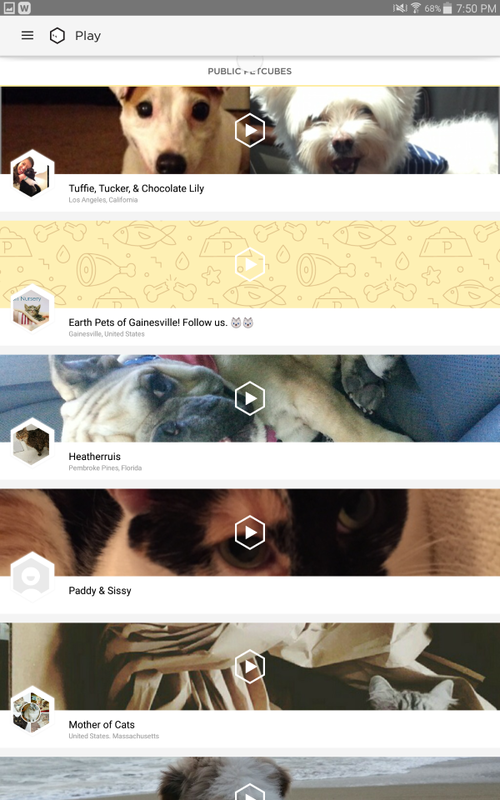 Don’t worry – This feature is turned off by default, so you’re not automatically sharing videos of your pets with the world. Would you like being able to monitor your cat or dog when you’re not around? What situations would make you want the ability to watch or interact with your pet remotely?